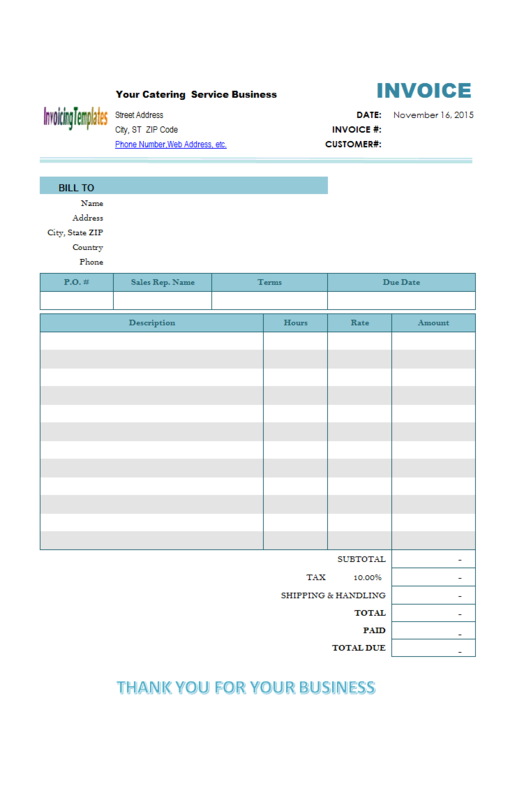 Download our printable billing templates and invoice makers for free. 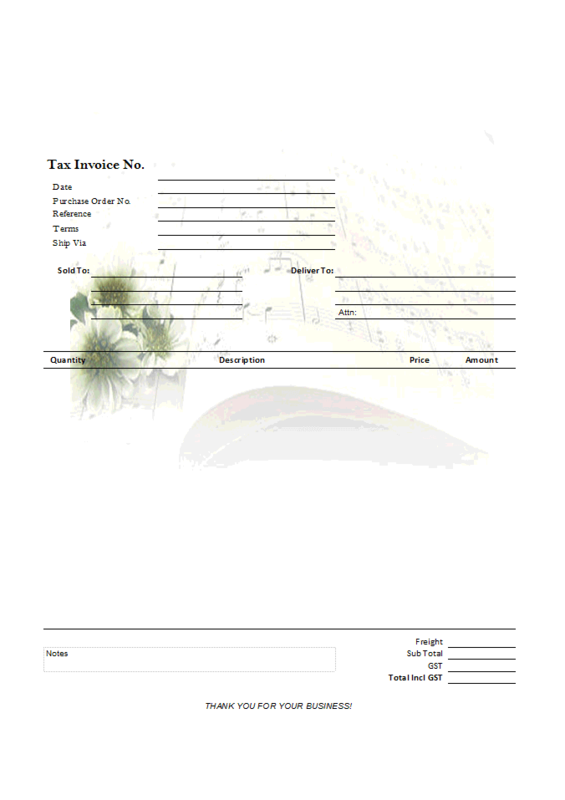 Create invoices and bills by filling in blank forms, print out with single click of mouse. If you use the UIS edition, there are advanced options you can use to improve the printing experience, in addition to all those provided by Excel. It is fair to say that Microsoft Excel has extensive options for controlling the printed result of a spreadsheet - most of them could be found on the Page Setup dialog box, but with a UIS-enabled template, you have more that are applied to only invoicing forms - i.e. they will not affect your general worksheets. 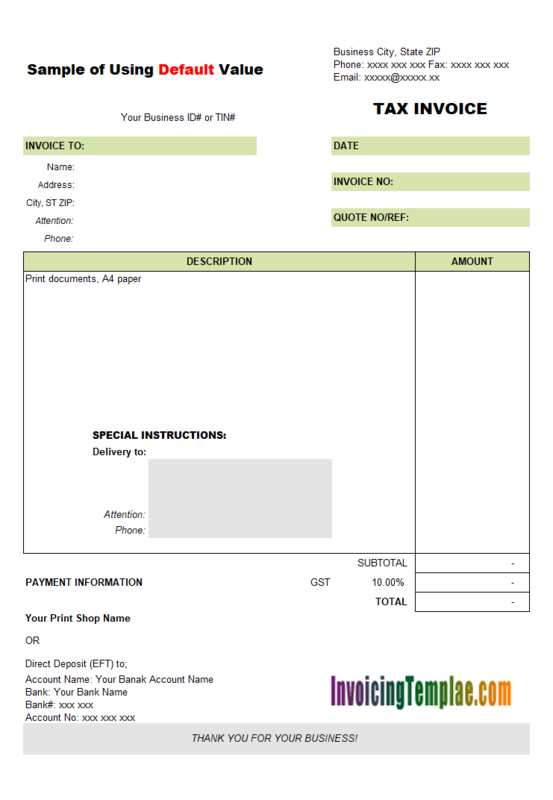 The first option, "Auto Print", enables you to print the invoice automatically when the "Save Invoice" or "Save To DB" command is clicked. 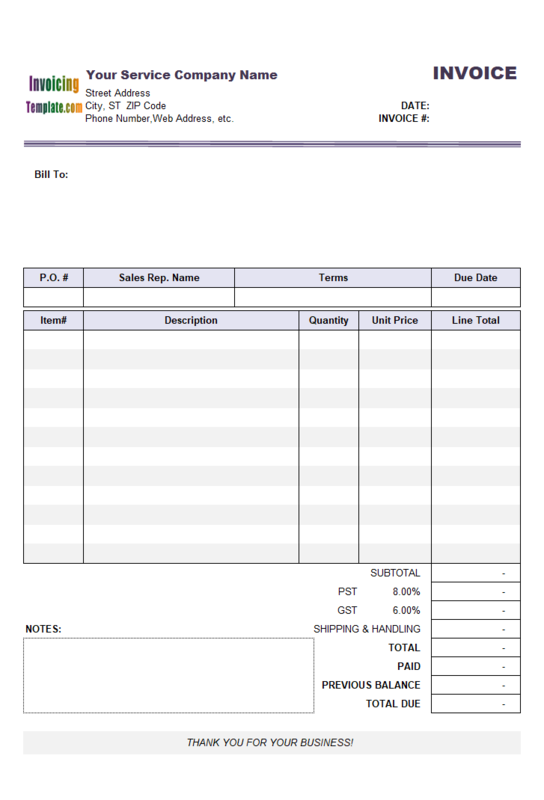 If this is enabled, you can also choose whether this applies to new invoice only. Second option: Number of copies to print. Third option: Show Excel Print dialog box before printing. The forth option: Default Printer. Click the "Apply" button to have the template remember these settings. All templates here are printable. The following are the top 10 we picked up for you to test how we control invoice printing experience in various ways. 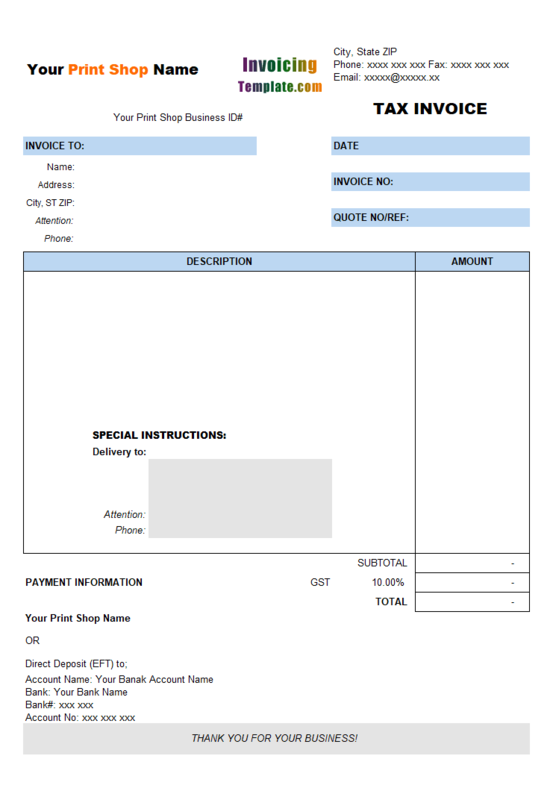 Note that the Invoice worksheet is protected by default. 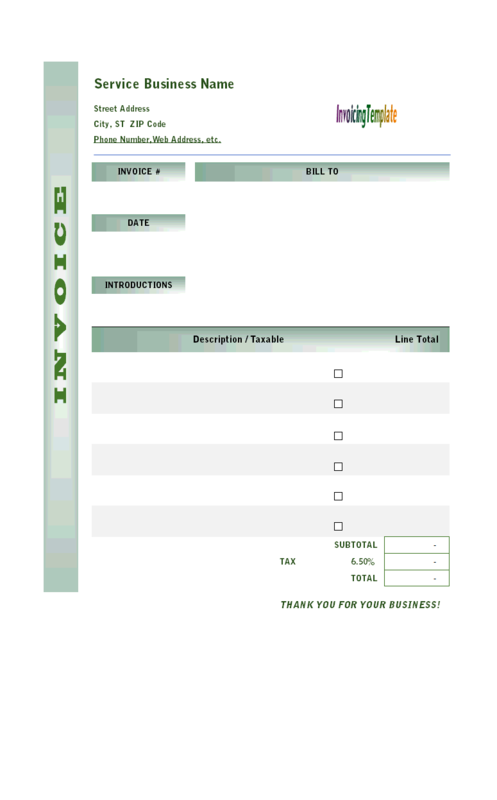 Before you can use the spreadsheet for the first time, you need to unprotect the Invoice worksheet and then type in your business details. However this type of background images are not printable. 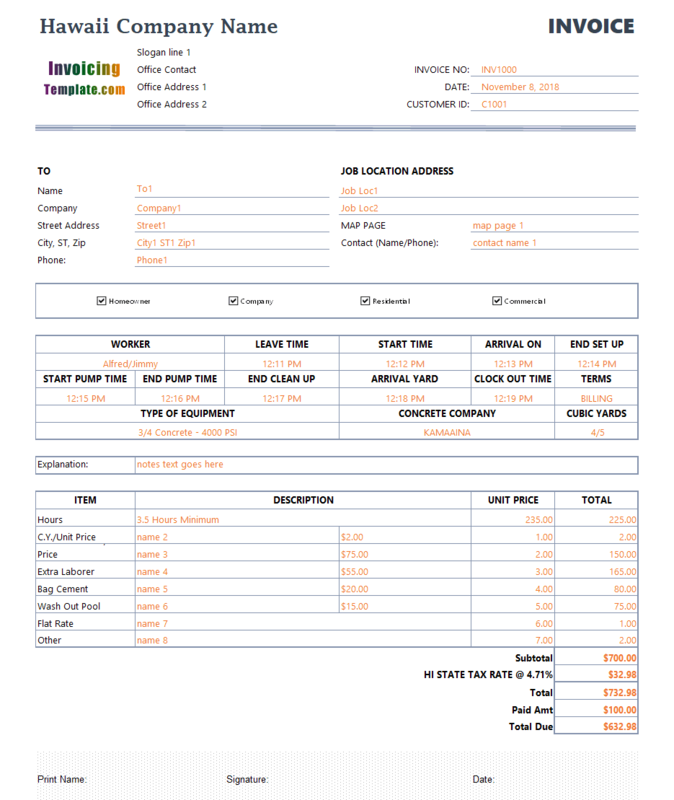 If you go to Excel menu "File" and then choose "Print", Excel shows the print preview of the current invoice template spreadsheet. However the background image set previously is not included. And for watermarks, Excel does not provide directly support for it. 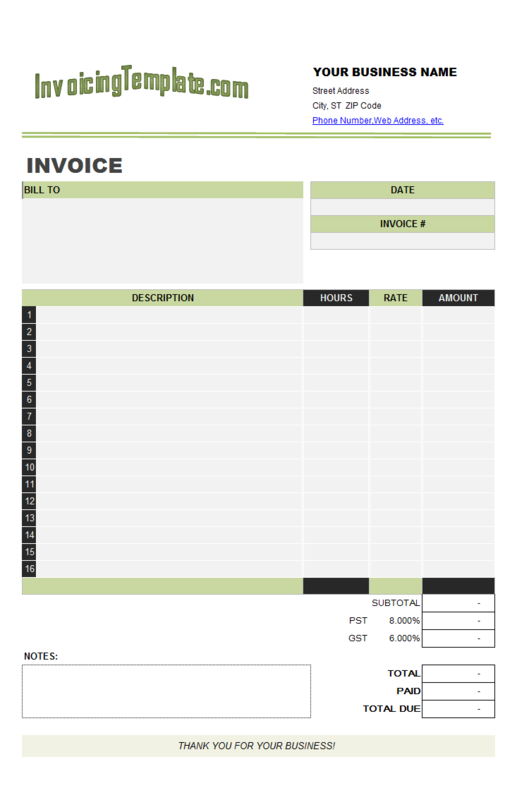 Like all the other invoice templates here on InvoicingTemplate.com, this template work fine with Invoice Manager for Excel (namely Uniform Invoice Software) too. 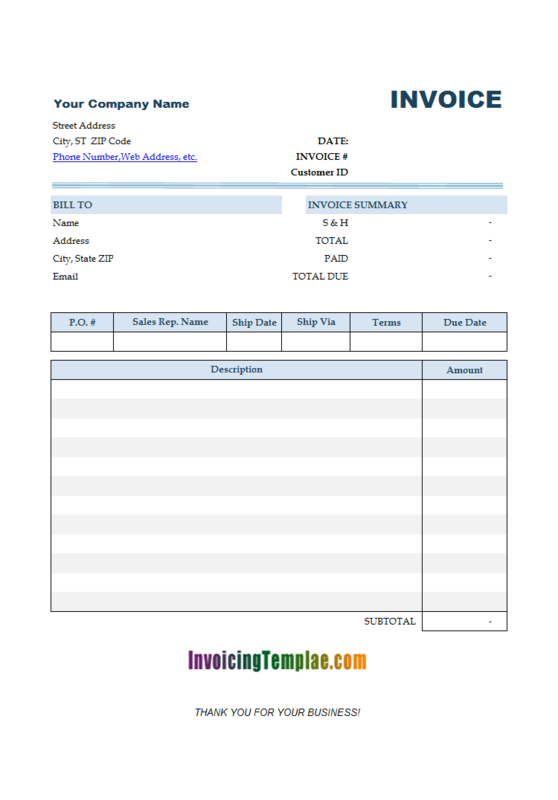 And, like all the other templates here, it is created starting from the general sales invoice template shipped with Invoice Manager for Excel (namely Uniform Invoice Software). 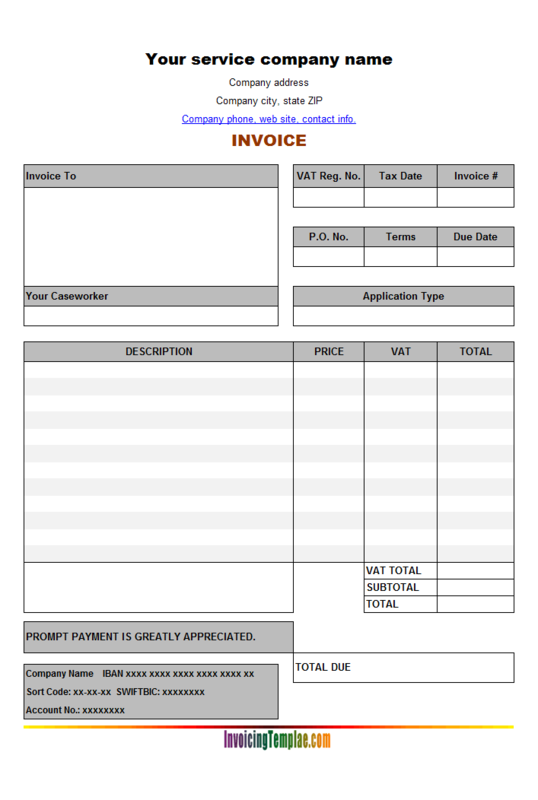 Although it is very different from the general sales invoice template, creating this "Tax Invoice for Printing Shop" template is actually not as hard as you might think. The most important thing you should do is just moving cells. 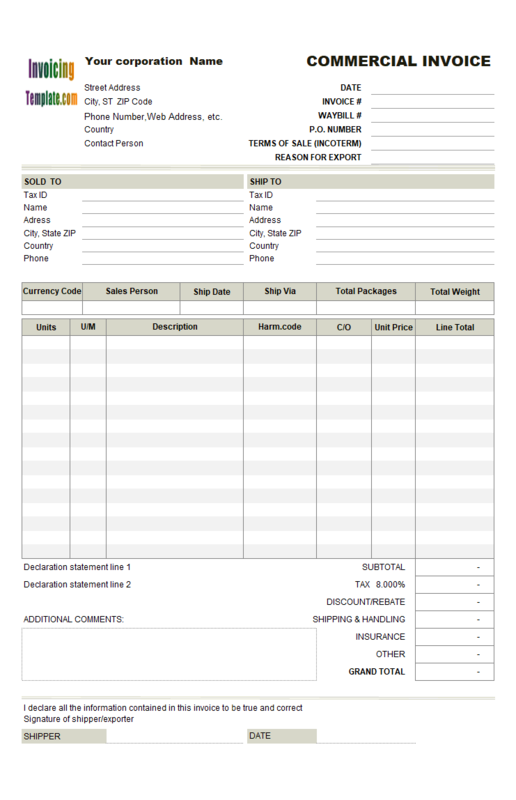 In this sample, we use Invoice and Packing List on Same Form (c4078) as the basic invoice template, move the packing list to a separate form. The main steps are illustrated below. 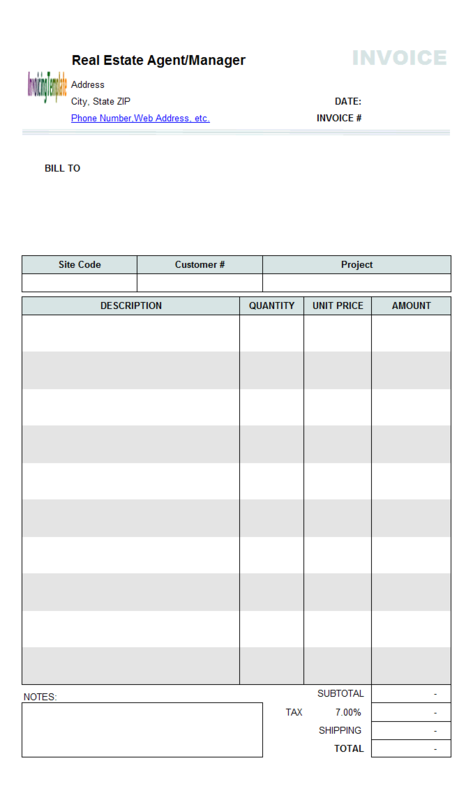 The "Special Order" field is defined as a custom field. It is implemented as a drop-down list. The possible values are defined at $20:$21 ("Yes" or "No"). 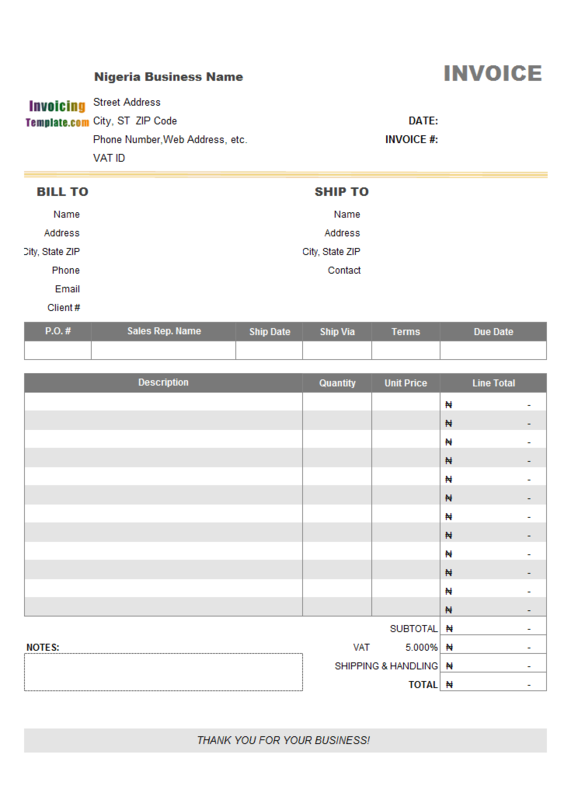 The "Pickup Old Items:" and "Instructions:" are all text fields that allows you to show additional notes on invoices. REPAIR POLICY --- PLEASE READ! By leaving your repair, you accept and agree to this policy. AFTER 14 DAYS A $1.00 PER DAY FEE WILL ACCRUE. REPAIRS LEFT OVER 30 DAYS WILL BE SOLD FOR CHARGES. ESTIMATE FEES ARE POSTED AND ADHERED TO. 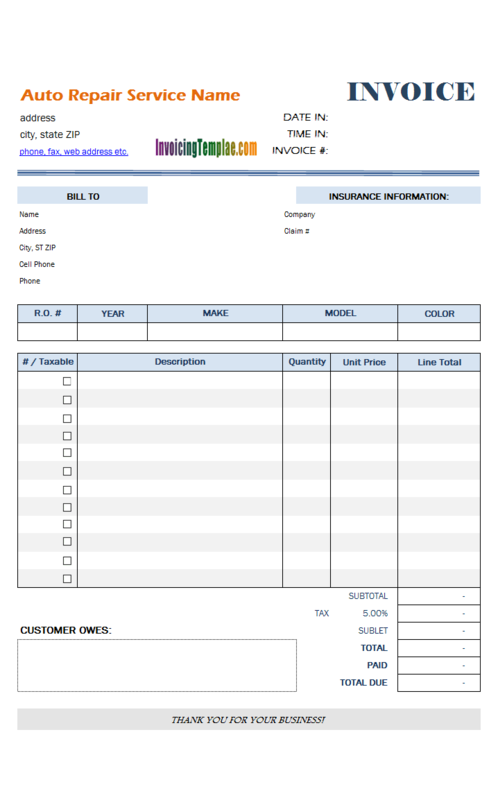 As explained at c4126 Image and Picture on Invoice, Quote and Purchase Order, the "DisplayImage" formula requires two argument -- the file name of the image, and the target range address where you want to show the image. The image file is loaded from Windows file system, but not the backend database system. This design makes it easy for you to store and organize photos and images. 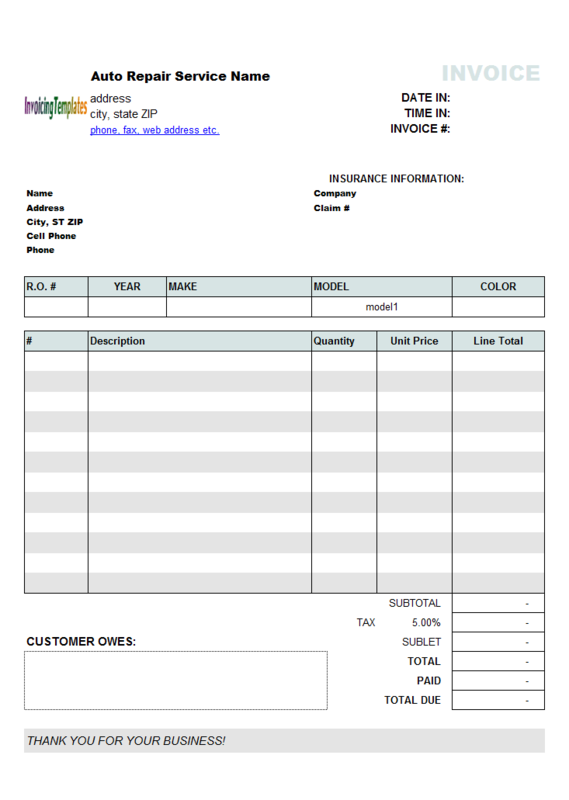 With this customization applied, the "invoice form with 5 price levels (sales)" invoice template here on InvoicingTemplate.com allows you to define 5 prices for each product. 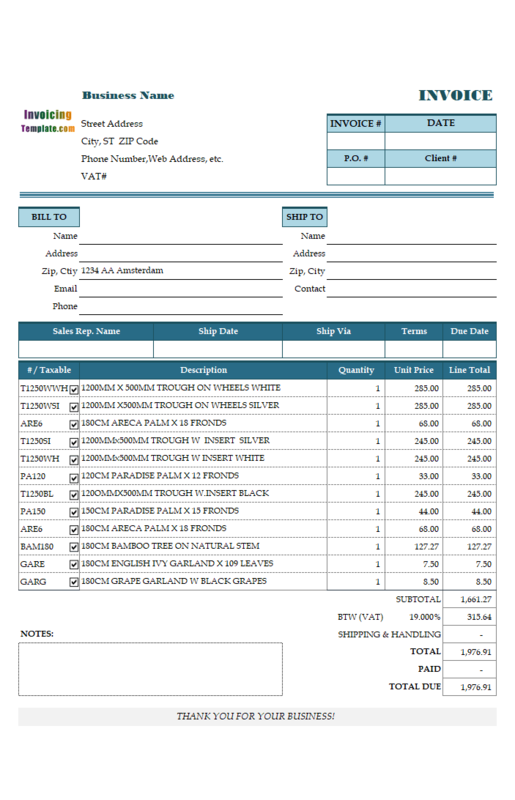 When creating an invoice, Invoice Manager for Excel shows both base and discounted price per item on invoice form whenever you choose a product. 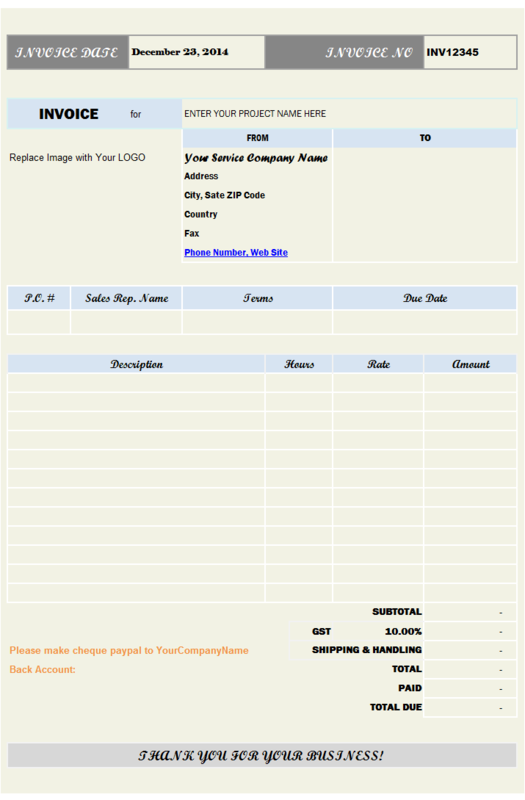 For each customer, you can assign it a discount level, ranging from 1 to 5. When you pick up a customer, Invoice Manager for Excel will apply the correct price based on the discount level of the customer. 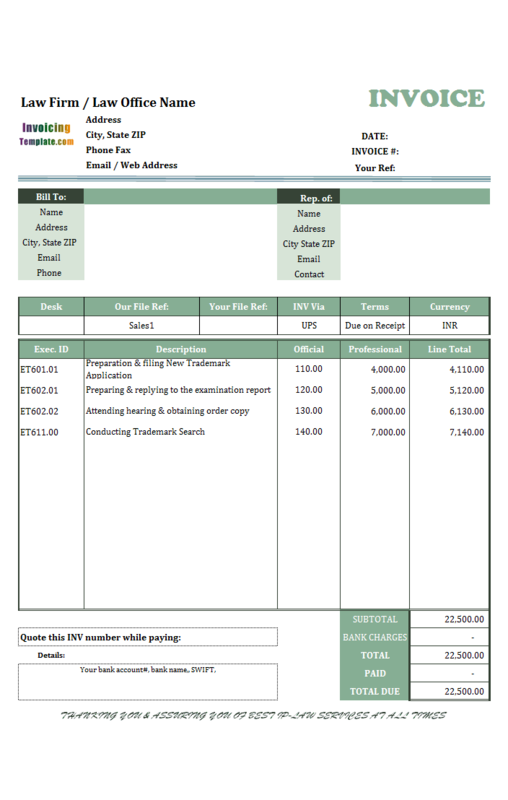 With Invoice Manager for Excel installed, the invoice template is no longer a simple invoice creator, but becomes a fully featured invoicing system with the ability to manager customers, products, invoices and payments. The data is stored in a database, which is a better way than a pure-Excel way for manipulating large amount of data. 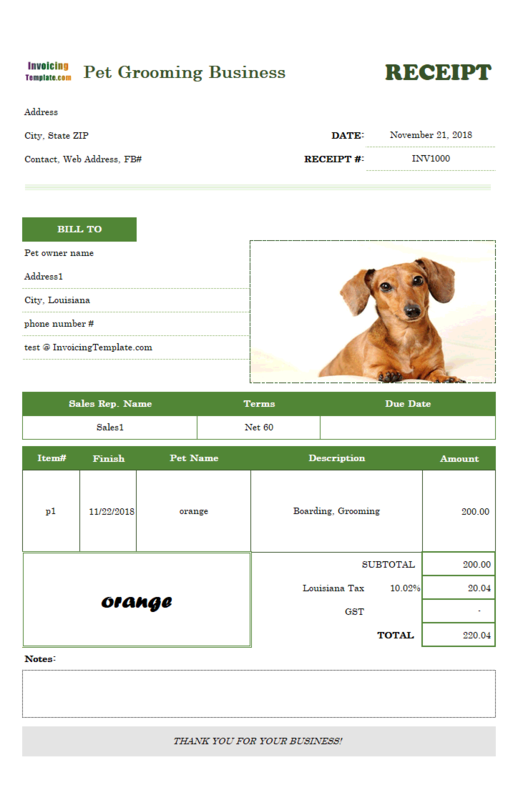 So how does Invoice Manager for Excel create the link between the Excel invoice form and the backend database? Specifically, when you retrieve a customer from the backend database, how does Invoice Manager for Excel know where to place the value of each field? The secret lies in field names and cell names. 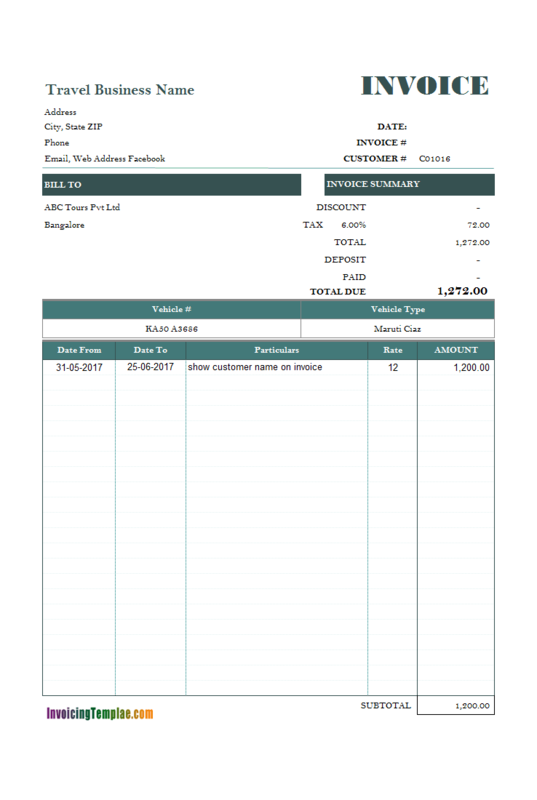 Invoice Manager for Excel adheres to a simple rule to create the relationship between the database and the Excel invoice form. For example, when you load the data of a customer from database, the value stored in the "AccountBalance" field is filled into the cell named "oknAccountBalance". However exceptions exist, as some cell names and field names don't adhere to this rule. A detailed list on the exceptions can be found in the Cell Name Reference document included in Invoice Manager for Excel, which you can download and try for free. 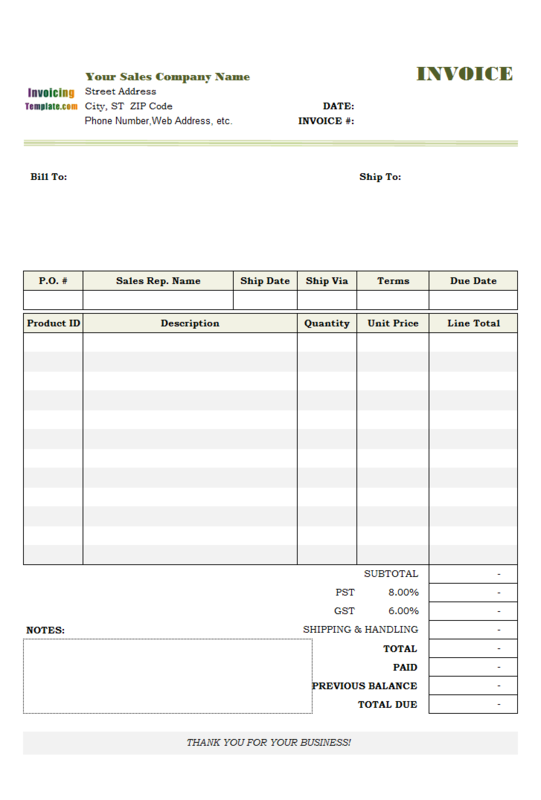 Please also refer to the original version to find out implementation details about this invoice template, including how Invoice Manager for Excel maps database fields to Excel cells, and how to unlock a cell to make sure Invoice Manager for Excel can read/write a cell even when the spreadsheet is protected. 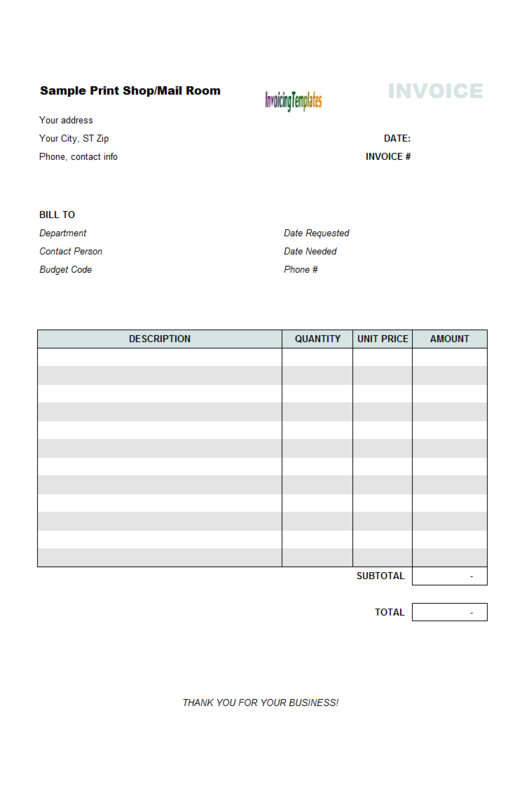 You can also find another example at invoice template with past due. 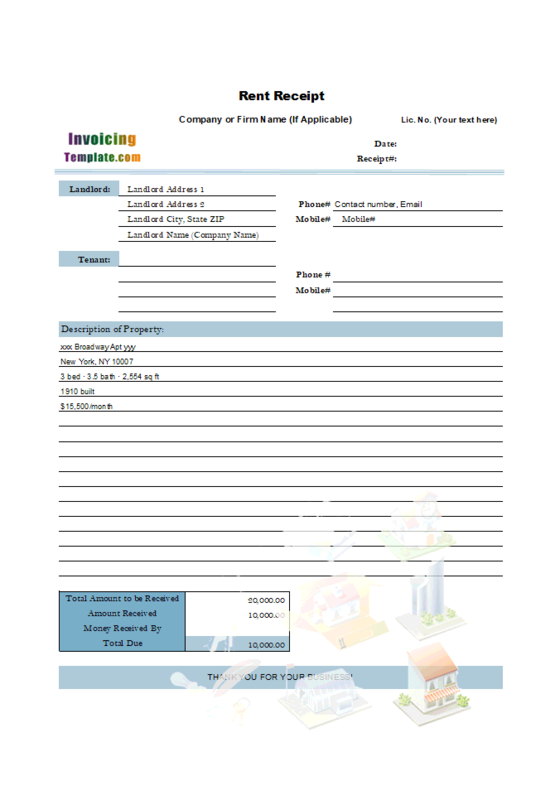 This template is also a member of printable invoice templates and basic invoice templates galleries. 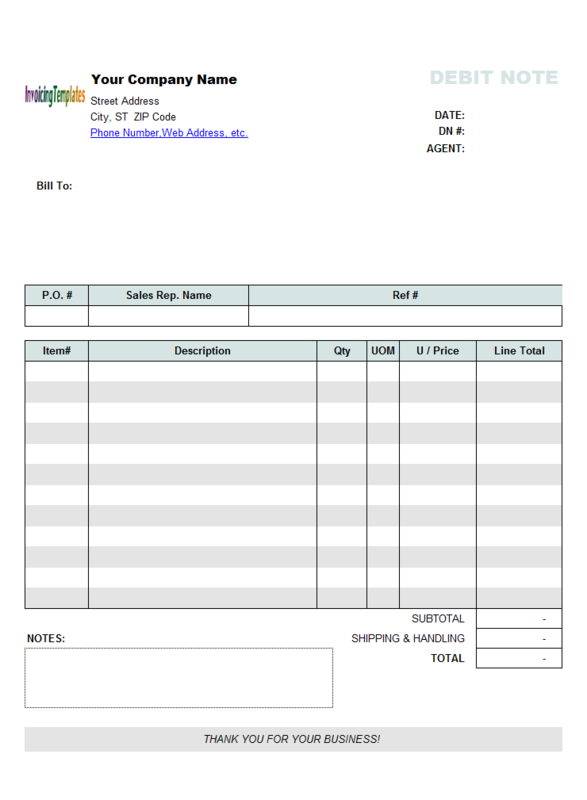 This image is not visible when you are editing or creating receipts, but will appear when you print a hard copy using printer, or generate PDF receipts using Invoice Manager for Excel. The detail section consists of 8 lines. 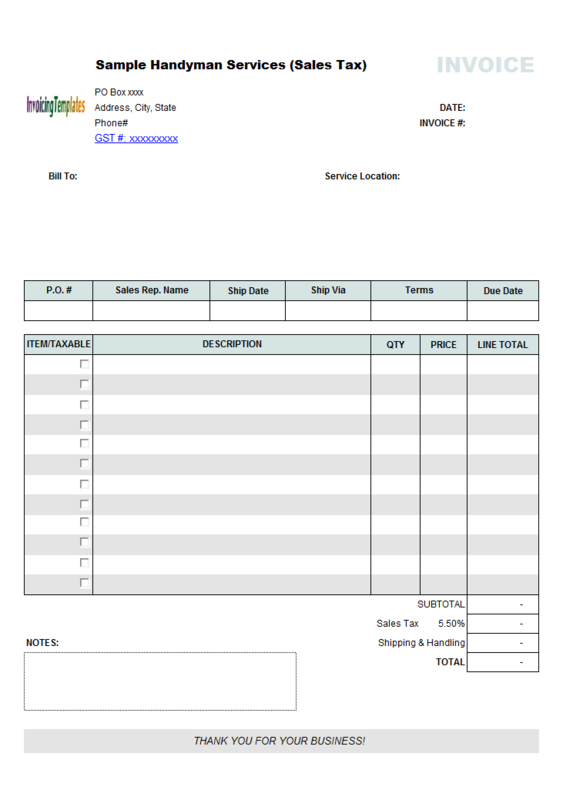 Unlike most templates here on InvoicingTemplate.com, the values of the first "ITEM" column is fixed (see another sample c5040 at Sample Sales Invoice Template: Fixed Items). Here the fixed content are "Hours", "C.Y./Unit Price", "Overtime Hours/Unit Price", "Extra Laborer", "Bag Cement", "Wash Out Pool", "Flat Rate", "Other". 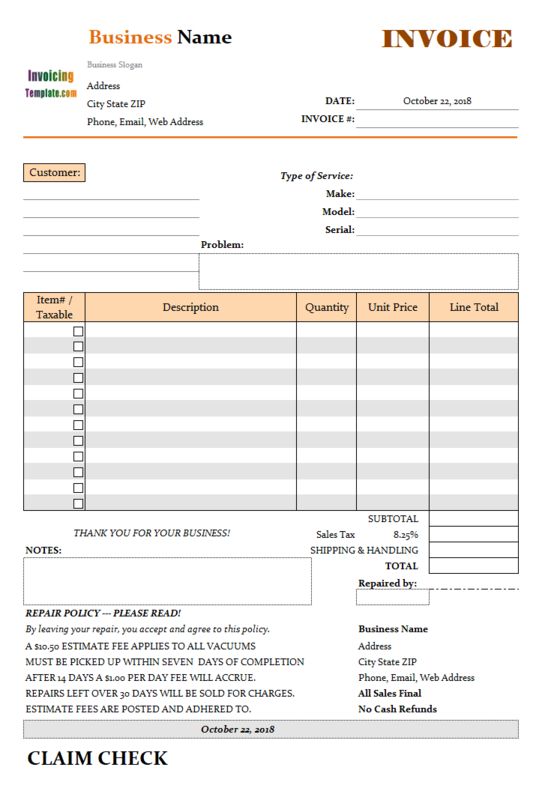 These items might not suit your service exactly, but this template does offer a good practical example of using fixed items on invoices. 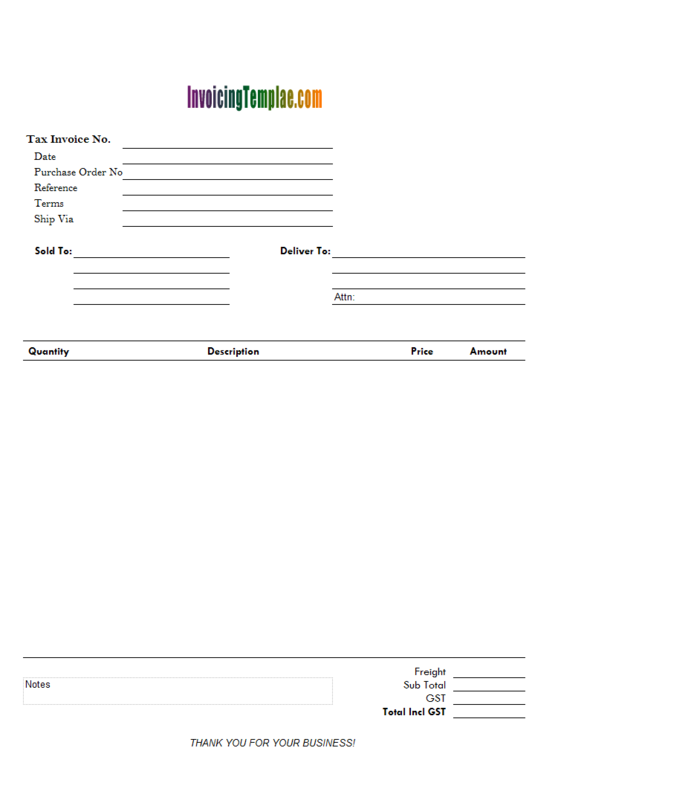 This template is created based on c5116 Business Invoice Template. It changed not only the color theme of the original template, but also the display format of the "City ZIP" field etc. The third category includes all the other fields on the sheet. These fields are filled with a default value of an empty text string, or numeric value zero. 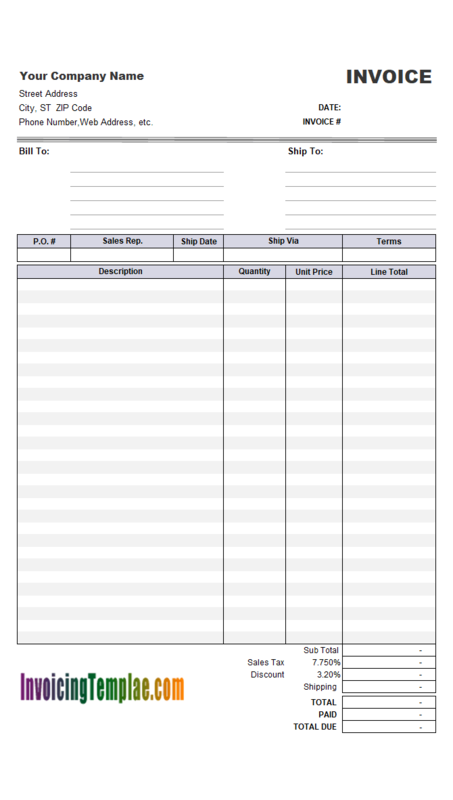 By assign an empty text string or zero values to these fields, the "Clear & New" button makes the form clean, so that it is ready for you to create next invoice. What if we want to assign a non-empty text to the one of the fields?